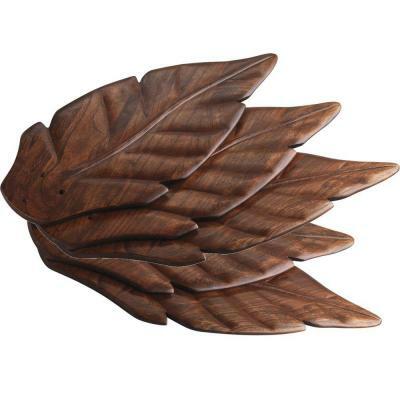 Capture both the look and feel of a tropical getaway with these handcarved palm leave fan blades. Set includes 5 blades and attachment hardware for installation on Progress Lighting's Signature series ceiling fans (sold separately). Rich cherry finish reveals the subtle curvature of the pattern and provides a cool complement to any room in your home.